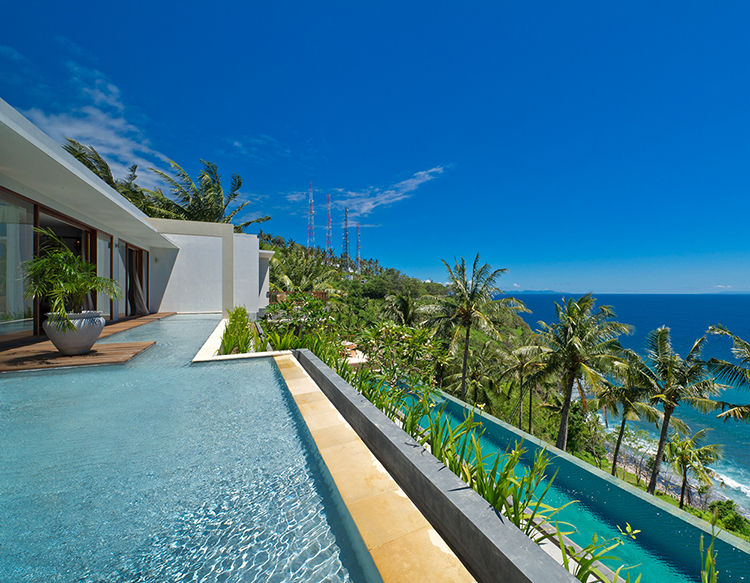 Hugging the hillside above Lombok’s dramatic, virtually untouched western coastline, Malimbu Cliff Villa combines modern luxury with breathtaking panoramas to create an exotic island retreat. 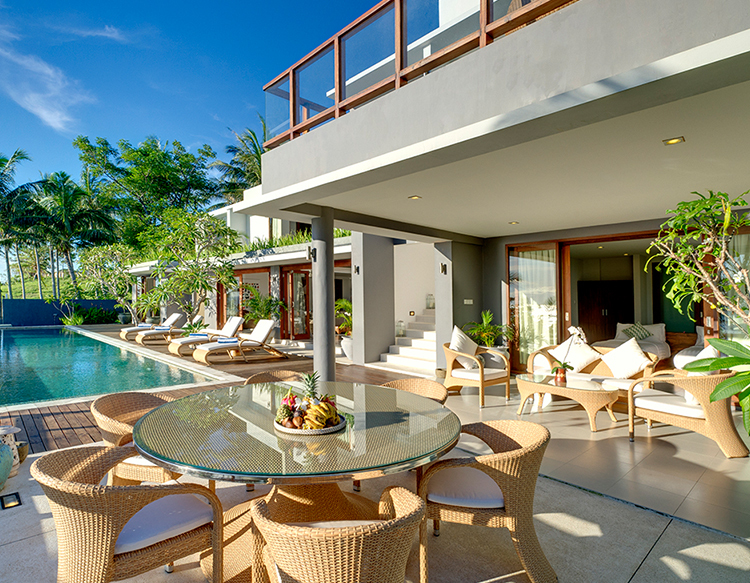 Stylish, contemporary and ultra chic this four-bedroom villa with an 18-metre infinity pool has been designed for total rest and relaxation. Whether watching monkeys swing through the coconut trees, sipping cocktails as the sun goes down or soaking in a sea-view bathtub, it’s hard not to fall under this villa’s spell. With the bars and restaurants of Senggigi just a short drive away, and the idyllic Gili islands, renowned for their world-class dive sites, within easy reach, Malimbu Cliff Villa really does offer something for everyone. High Speed Wifi that’s included in room rate so you can work and play! We’re so determined to make your experience at our Malimbu a charm, we can help arrange the airport car collection and drop off if you book with us. Malimbu Cliff Villa 2019 All Rights Reserved.